While new dropper posts are popping up like mushrooms (no pun intended), only a few models stand out from the crowd. 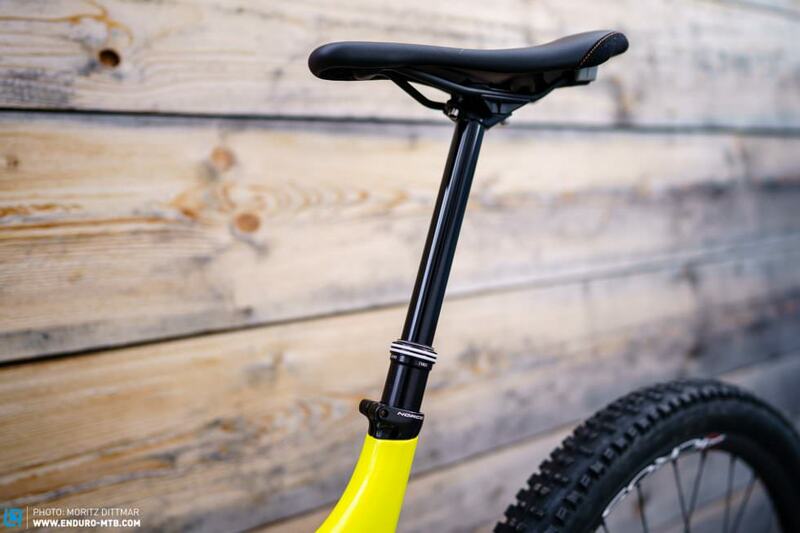 With its latest NIVO model, German manufacturer Vecnum stirs up the market with a glorious 212 mm of travel and a number of exciting new features. We’ve already tested the new dropper and can tell you what it’s capable of. When talking about dropper posts, the first question that arises is usually, how much travel they offer. In this respect, the Vecnum NIVO is already providing a pleasant surprise. The NIVO is available in 4 different lengths, with 122 mm, 152 mm, 182 mm and a whopping 212 mm of travel respectively. As well as the length, customers can choose between infinite travel and four-position indexed travel. Between full extension and maximum drop, the NIVO INDEXED offers two further presets, where the first one sits at 40 mm and the second one at 90 mm (122/152) or 100 mm (182/212). The NIVO TRAVELFIT features infinite travel adjustment and offers one more interesting feature: the maximum travel can be reduced by up to 32 mm. The new Vecnum NIVO offers up to 212 mm of travel. Our test model has an adjustment range of 182 mm. What may sound a little confusing at first, offers huge advantages in real life. 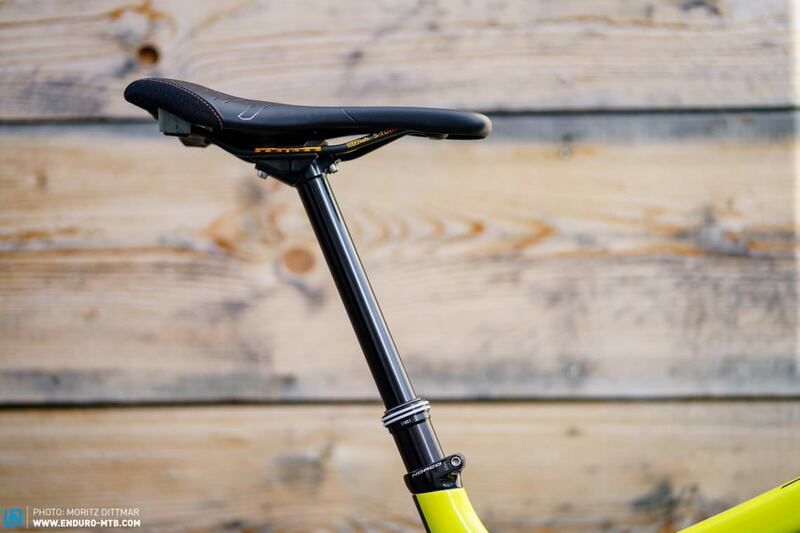 While many riders could use a dropper with more travel, the next size up is often too long. The new TRAVELFIT however, allows you to use the full insertion depth of your frame and set the maximum extension to your needs. 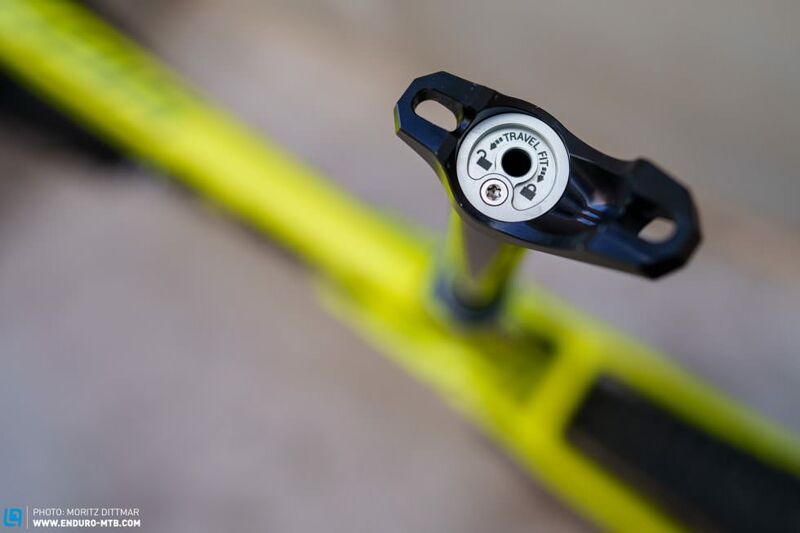 This means, even smaller riders will be able to enjoy the perks of a wide adjustment range. In addition, the very short 42 mm stack height increases the clearance even further. The Vecnum NIVO is only available in an outer diameter of 30.9 mm, but can easily be adapted to 31.6 mm and 34.9 mm seat tube diameters with one of Vecnum’s special shims. 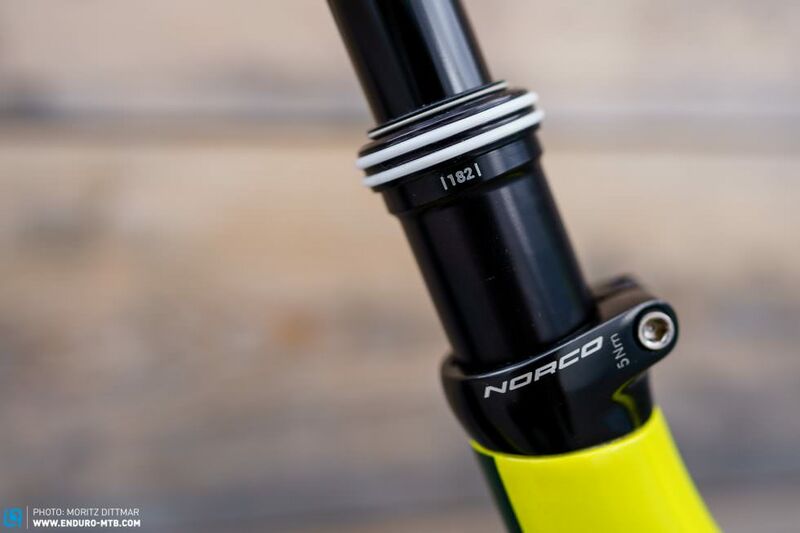 With only 42 mm of stack height the NIVO is the ideal choice for smaller riders. VECNUM produces the NIVO in-house in Germany, following elaborate manufacturing techniques and using high-quality materials to ensure a long service life. But sophisticated technologies aren’t cheap: prices for the NIVO start at € 429 and the version with shifter-style trigLOC lever costs € 449. As the shutLOC locking system is fully-mechanical, the dropper can be disassembled and serviced in a few simple steps. Lateral play is minimal, the workmanship impeccable. With the TRAVELFIT version you can adjust the maximum travel of the NIVO with a 5 mm Allen key. The dropper is controlled via a remote-lever operated by a standard shift-cable. Speaking of remotes, the Germans offer theirs in two versions: The universal remote can be installed on either side of the bars and allows for maximum flexibility with 2 x setups and eMTBs. The second, more ergonomic shifter-style version, is called the trigLOC-remote and hides under the left grip. 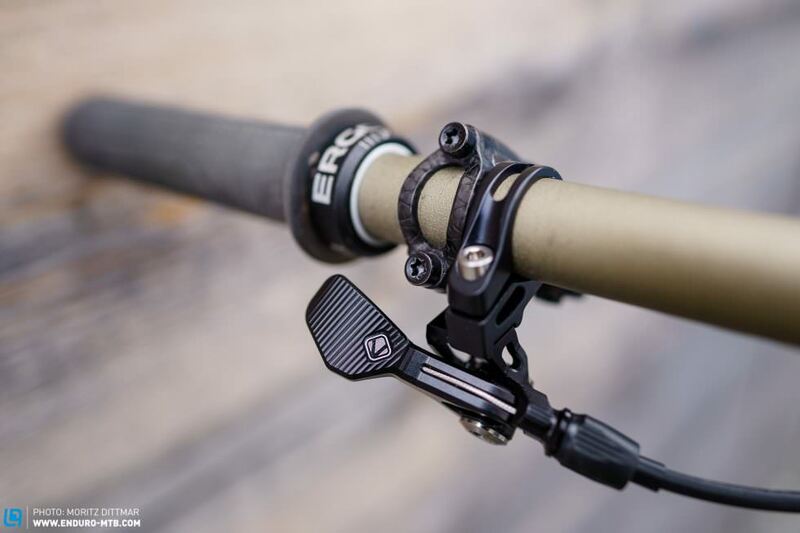 The trigLOC-remote only weighs 19g and features a clever angle adjustment, it’s also compatible with SRAM’s Matchmaker clamps. The trigLOC Trigger is ultra-light and built to the highest standards. And yet, we could do with a slightly longer paddle. Our test-dropper has 182 mm of travel and features both a TRAVELFIT adjustment and trigLOC remote. The complete system, including the cable, weighs in at an incredible 562g – around 140g less than RockShox´s popular 170 mm Reverb with a 1x remote! The installation is straight forward, but the filigree trigLOC remote requires a sensitive hand. Whilst the seat-clamp with titanium bolts rounds off the high-quality impression, the saddle adjustment relies on a classic two-bolt system. 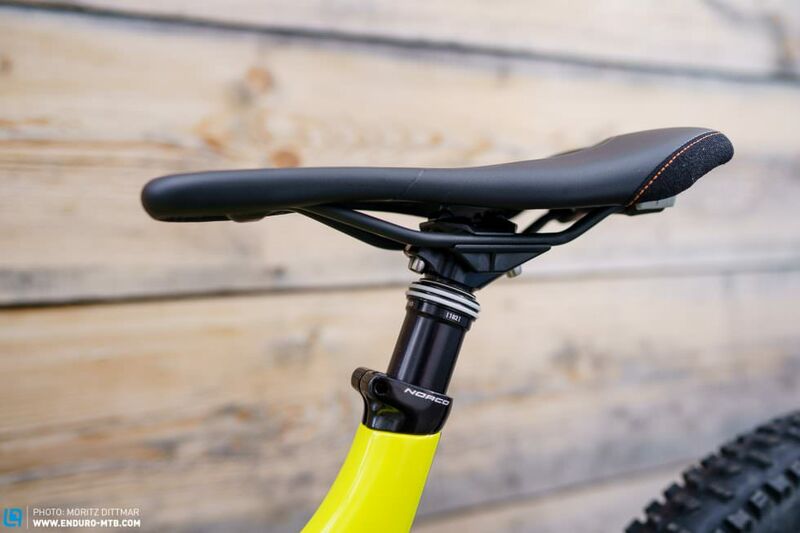 The NIVO allows for a generous saddle adjustment and has a light setback of 7 mm. If you ride with the saddle pushed all the way forward, you can turn the lower rail around to get more support. The NIVO relies on a traditional, bombproof clamping-head and two titanium bolts. Whilst the return speed is pleasantly fast and the end of the stroke very well-damped, you can feel a light resistance whenever the mechanical locking system engages. Compared to a RockShox Reverb or FOX Transfer, this feels rather choppy — and the same applies to the bottom of the stroke. But once you hit the trails, you won’t even notice it — the NIVO glides through its generous travel effortlessly and discreetly. If a silky-smooth operation is an absolute priority though, you’re better off looking for another option. Vecnum delivers the NIVO with a set of coloured O-rings to match the colour scheme of your bike. In our opinion the white rings look best. Compared to other dropper-posts, the infinite adjustment of the NIVO makes it a little harder to find a comfortable mid-position. And it’s for this reason, that we can’t decide which of the two versions we prefer. For smaller riders on the other hand, the maximised drop of the infinite TRAVELFIT-version is a true godsent and reason enough to ignore this relatively small drawback. If this, however, isn’t your case and if you can find a suitable length, the NIVO INDEXED with predefined locking positions might be a better option. VECNUM NIVO: workmanship at the highest level. Much like with the travel of suspension forks, there is a sweet spot in the adjustment range of a dropper-post: Whilst lots of travel is generally a good thing, this can sometimes be too much. 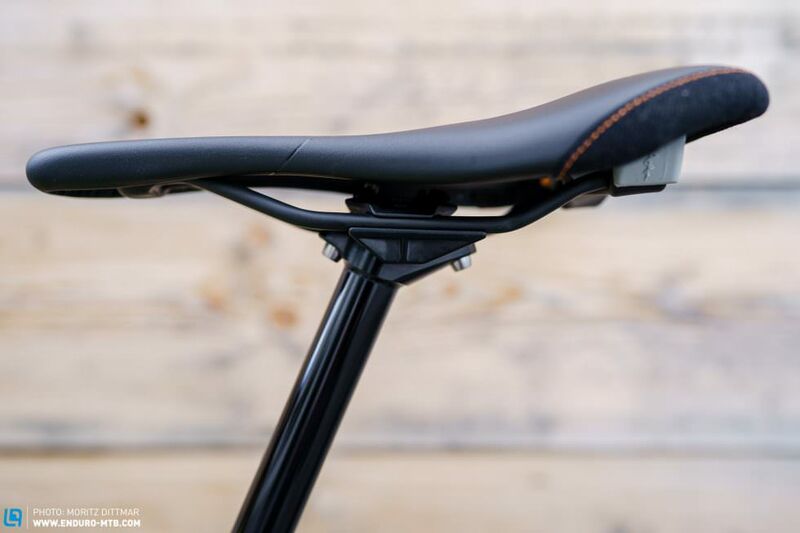 Before making your final purchase decision, insert your current seatpost further down into your frame and simulate the longer travel of the NIVO – this way you’ll find out, how much drop you feel comfortable with. With its maximum travel of 212 mm and clever TRAVELFIT adjustment, the Vecnum NIVO offers some truly-unique selling points. Smaller riders especially can finally take advantage of the full adjustment range of their frame. The mechanical locking takes some time to get used to but works flawlessly. The extremely low weight and high-quality workmanship round off the excellent overall package. Tomas Lemoine is one of the only riders competing in Slopestyle to also compete in other events during Crankworx Rotorua.